Hurricane Sandy and other unforeseen circumstances in recent years have taught us that we need to expect the unexpected. Natural disasters and other large scale tragedies have the potential to leave a wake of destruction in their path and potentially separate us from our beloved pets. Unfortunately, events such as these are completely out of our control. However, we can have a plan and be prepared for even the worst circumstances. One of the most useful items for both you and your pet is a disaster supply kit. These items should be useful whether you are evacuated or sheltered in place. Ideally the kit should be in a waterproof container. The container should have three days to a week’s worth of food, medical records, vaccination history, a current photo of your pet, a leash or harness, a litter pan and litter, and plastic bags. Furthermore, you should include a flip top can or can opener. Try to replace the food in the kit on a regular basis so it doesn’t spoil. If your pet is on medication that needs to be refrigerated, be sure to insert a small ice pack into your kit. You can also keep identification tags in the bags with your pet’s name and the name/address of a friend or family member, in case you become separated from your pet. If your pet doesn’t have a microchip, you may want to consider having one implanted. Microchip implantation can be done by means of a quick injection at the time of spay/neuter or during a routine visit. The chip which contains an encoded number is inserted through a needle between the shoulder blades. There is no anesthesia needed. After the chip is implanted it is essential to complete the appropriate registration forms. 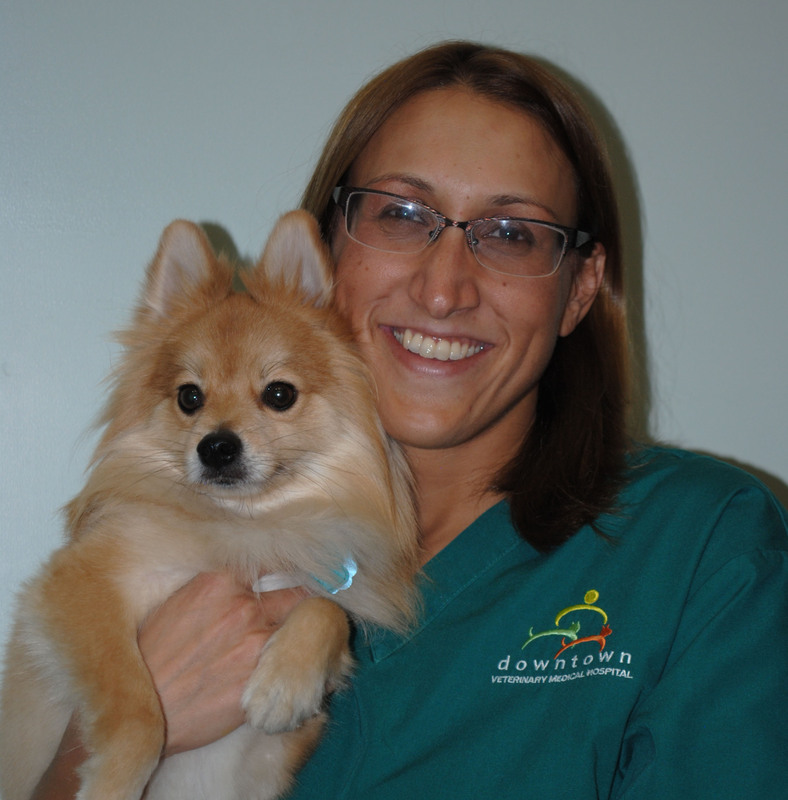 Your veterinarian can assist you with the paperwork to ensure that it’s done correctly. Most shelters and animal rescue organizations have microchip scanners which are used to read the numbers on the chip. If you are separated from your animal due to a natural disaster, or because your pet has been evacuated to a holding area, you may have to show proof that you are the owner. Some animals are hard to identify from a photo or don’t have distinguished markings; the microchip number will be invaluable in the identification process. The buddy system is a useful tool during any disaster. In the event you are not home when disaster strikes, allowing your neighbor access to your home or apartment may save your pet’s life. This will allow them to remove your pet if necessary or be able to feed them if you will not be home for an extended period of time. You can also offer to do this for your neighbor if the opposite situation occurs. If you need to evacuate, and your pets are allowed to stay with you, it may be helpful to bring their favorite blanket or toy. You should also contact local hotels or motels to inquire where you can go and if they allow pets. It is important to make a list of these locations and include their phone number. Also, if they do allow pets, make sure there is no number or size restriction. Animal shelters should only be used as a last resort due to limited space. It is also noteworthy to mention that FEMA (Federal Emergency Management Agency) recommends that you do not wait for a formal evacuation order. If you wait until an evacuation is mandatory, you may not be able to bring your pets with you. There are some situations in which your pets may not be permitted to stay with you. If you have no choice but to leave a pet at home or otherwise unattended, there are some important ways in which to prepare. The bathroom is typically the safest place to keep your pets in the event of a disaster. If you have a large dog you can fill the bathtub with water. For smaller dogs and cats, you can allow the faucet to drip into a small container that will not spill. If your dog normally wears a chain-link collar it is advisable to switch to leather or nylon. It is also recommended that you leave a two to three day supply of dry food in a sturdy container. Please make sure not to moisten the food. If you will be leaving your cat alone for a short period, it is recommended that you have a cat carrier which is large enough to fit a shoe-box sized litter box, a food dish, and water. Your cat should also be able to sit up and lie down comfortably. Please make sure that the carrier is not left in the sun and there is sufficient ventilation. This also applies to many of the smaller pocket pets. Make sure to prepare their carriers, food, water, and appropriate bedding. Hurricane Katrina, Sandy, and 9/11 taught us some valuable lessons. Although we can’t predict when disaster may strike we can always be prepared. Our pets are part of our families and we have a responsibility to keep them safe.